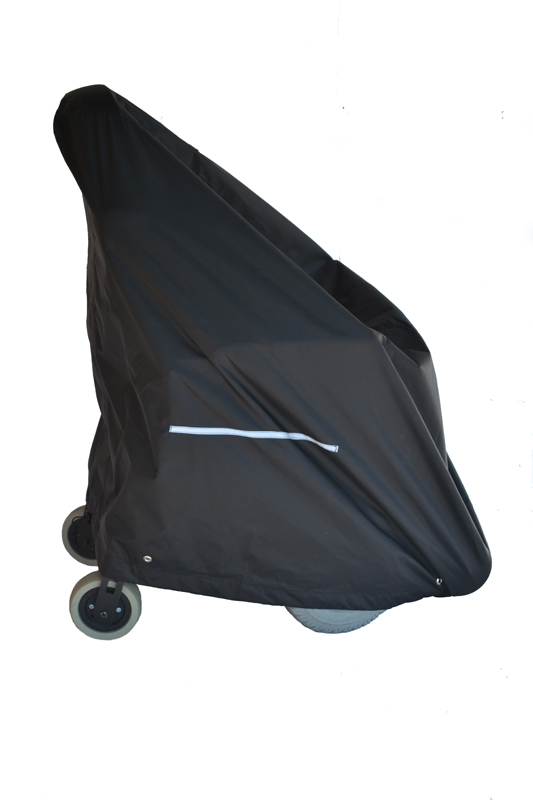 A power wheelchair cover is the best way to protect your wheelchair against the elements, whether it be while stored outside your home or while you transport it on your vehicle. The cover is waterproof and extremely durable. It can even be ordered with heavy-duty material for the ultimate in protection. This power wheelchair cover is for large-sized wheelchairs, but compare the circumference and height of the cover to that of your power wheelchair to ensure a good fit. If you have questions, call us, and we'd be more than happy to help.